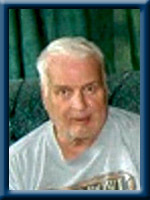 BAKER – William D. Jr. 72, of Liverpool, passed away peacefully in Queens General Hospital on Thursday, December 15th, 2011. Born in Liverpool, he was a son of the late William and Edith (Orme) Baker Sr.
William was a foreman for the former New System Laundry for many years before moving on to the parts department at Cole Ford Sales in Sandy Cove where he retired in 2004. He was an avid softball player in his younger years and a fan of the Boston Red Sox, the Boston Bruins and the New England Patriots. He is survived by his wife Sheila (Jollimore), his daughter Crystal (Calvin) Brannen of White Point, his granddaughter Erin Spinney of Saskatoon and his sister Marjorie “Marnie” (Allen) Hatt of Liverpool. He was predeceased by his infant sister Sherry, his sisters Donna MacNutt and Janice Rafuse, his half-sister Rita Hunt and his brother John “Jackie”. We were sorry to hear about Billy. Our thoughts and our prayers are with your family. To Sheila, Crystal, Marnie and families ; We were very sorry to hear about Billy. We are very sorry about you loss. It’s a very difficult time but even more so at Christmas time. Sorry to hear of the passing of Bill. Crystal, and Family, I am so sorry for your loss. Remember all of the good times as there are probably so many. You are in my thoughts and have my condolences, Take care. To Sheila and family -so sorry to hear of billie’s passing.my thoughts are with you all at this sad time. Sheila, Crystal and Family…So sorry to hear about Billy’s passing…thinking of you all at this very difficult time…hugs to you all. We are so sorry to hear of the sudden passing of Billy. Thinking of you all at this most difficult time. He will now be Free of pain and now can rest in peace. God Bless you all !!!!! Sincerely: Francis & Peggy Payzant. We are sending our deepest sympathy to the family of billy..He was a great person.May god be with you all. Crystal and family. So sorry to hear about your dad. My thoughts and prayers are with you. Stay strong as he would want you to. Take care. So sorry to hear of Bill’s passing, my thoughts and prayers are with you and your family at this most difficult time. Sheila and Family, Sorry for your loss. Our sincere sympathy to the family. Sorry to hear of Billy’s passing. Are thoughts and prayers are with you at this most trying of times. Sorry for your loss .Thoughts and prayers are with you and your family at this time . Sheila so sorry for your loss, my thoughts and prayers are with you at this sad time. Sheila, Crystal, Erin, I am so sorry for the loss of your husband, father, and grandfather. He sure was a GREAT man, and he surely will be missed by all. My sympathies are with you all, and I’m thinking about you during this difficult time. Atleast he is free of pain and suffering, and is peaceful up in heaven with the angels. You know where to find me if you need anything. Love you all. Our thoughts are with you at this difficult time. Billy will be remembered as a personable and friendly man who was dedicated to his family. The “family” at Cole Ford morn in your loss. Wayne and Jean and family. So sorry to hear of Bill’s passing, my thoughts are with you and your family at this most difficult time. I enjoyed every day I worked with him and have many wonderful memories. He will be sadly missed but not forgotten. Just read about Billy’s death. So sorry for your loss. Thinking of you at this difficult time. I worked with him for one summer at my Dad;s laundry. He was a hard worker. He will be missed. I am saddened to hear of the loss of your Dad, Husband, Grandfather, and Father-in-Law. My Blessings are with you. Fond Memories Last Forever. Keep Them Close To Your Heart. Sheila & family,so sorry to hear of Billy’s passing, but rest assured he is pain free & singing with the angels.In my thoughts & prayers. aloved one.May the good LORD look after you and your family. I’m so sorry to read of your Dad’s passing.Please know that my deepest sympathy is with you at this most difficult time as well as prayers for comfort and strength.Take care. So sorry to hear of Billy’s passing. Our deepest sympathy to you all. Take care of each other and know that many thoughts are with you at this sad time. My thoughts and prayers are with all of you. Remember all the good times and Billy will always be in your hearts and mine. Sending lots of love to each of you during this sad and difficult time. My heart is with you. The love that you shared with your dad, your husband, your grandfather and father-in-law is a love that will stay with you forever. So sorry about Billies passing, he was a good man and ball fanatic, his friendly smile and pleasant greeting made my problems seem unimportant. Our deepest sympathy to you at this difficult time. We were so saddened to hear that Billy had passed . He was a great neighbor and friend,rest in peace Billy . Our thoughts and prayers go out to you at this difficult time. He is in a better place now with no pain and suffering, may that give you great comfort. Sheila and family. Sorry to hear of Billy’s passing. Our deepest sympathy to you all. we are sorry to hear about your loss. take comfort in knowing that family and friends are here for you at this difficult time. So sorry to hear the loss of Billy.Knowing he is in a better place will bring comfort to you at this time. Take care of each other at this time.You are in our thoughts. Our family is sorry to hear of your loss. Billy was a very kind and considerate person to everyone he knew and will be missed by many. Billy was a Great All Around Person Enjoyed The Many Years At Cole Ford Working Together ..alot of Laughs we shared together .Marle’ne and I share your loss ..GB..Billy .Will Be Missed .. So sorry to hear about Billy. You are in my thoughts annd prayers.